Too often, we see businesses putting up with outdated and time-consuming workflows and processes, just because “that’s the way it’s always been done”. But this attitude could be costing your business far more than you realise. If this sounds like the prevailing attitude at your organisation, then you could be in dire need of an enterprise content management (ECM) solution to help organise, store and automate documentation and associated workflows. Here are 10 signs your business might need an ECM solution. When you’re trying to ensure all your i’s are dotted and t’s are crossed, it is important to have stringent processes involving cross-checking, authorisation and filing. But inevitably these processes have so many inefficiencies inherited from legacy systems, that employees are wasting time performing activities that do not actually generate a lot of value for the business. Storing files in multiple locations, both physically and digitally? Spending time searching for the information they need? Physically walking documents from one part of the office to another in order to action the next part of the workflow, such as, for example, getting an authorising signature? While each of these activities might not take up much time individually, collectively and spread across many employees, they quickly add up to many hours that could otherwise have been spent on revenue-generating activities, such as strategising and building customer relationships. Digitising and automating businesses processes, thereby optimising workflows and avoiding physical document transportation and double-handling. By digitising and automating workflows, an ECM solution can eliminate a lot of the human error that might otherwise occur, meaning employees aren’t wasting time fixing those mistakes, and processes are much faster. Error-free processes are particularly important when it comes to finance and accounting – with an ECM solution, these departments can speed up their workflows while also improving their accuracy. Inefficient workflows can also have a negative impact on customer service. 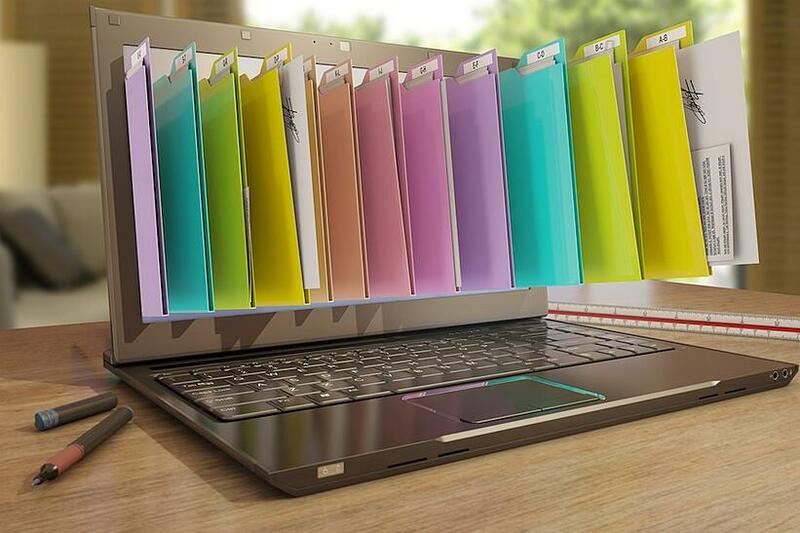 Customer queries are often time-sensitive, but if employees are having to spend time searching through cabinets or a confusing digital filing system to find the information they’re looking for, this can lead to frustration on the part of the customer. In this day and age, customers expect a fast and seamless experience, and if that expectation isn’t met, they will look to your competitors. Before installing an ECM solution, Tillamook Bay Community College was storing all of their records separately - and, in many cases, in filing cabinets. This included records for accounts payable, donors, marketing, personnel, and students. Because of the way that files were stored, sharing information between departments was difficult. So when the college received a Title III grant from the US Department of Education to improve businesses processes, they wanted to implement something that fixed this problem - by providing easy access to information, and streamlining the registration process for students. Since installing their ECM solution, all the information they need is centrally located and easily accessed, because it is integrated with their Enterprise Resource Planning (ERP) and Student Information System (SIS) systems. “We’ve exceeded our 5 year Title III grant goal of number of documents digitized at year 3. This means we’ve made a 332% improvement in digitizing our documents. Which makes us all very happy,” said Ray Hoyt, Title III Project Director for Tillamook Bay Community College. Additionally, using DocuWare for curriculum development allowed the college to avoid installation of a stand-alone curriculum management system. Another unwanted consequence of inefficient workflows is they can often cause bottlenecks. Higher-ups that need to be involved in the process can often hold things up, because they’re simply too busy to keep up with all the paperwork. Meanwhile, the employees waiting on that manager to get to that particular job have no choice but to sit there twiddling their thumbs. With an ECM, not only can workflows take place much faster, but if one person has too much on their plate at that moment, the system can reroute the work to another employee with a bit more time to spare. By using an ECM to reassign workloads, Home Run Auto Group managed to cut down the number of accountants required from 27 down to 16, resulting in a personnel saving of $660,000 annually. Nowadays, it’s all about business agility. Businesses have to be able to adapt quickly to changing markets and demands. Unfortunately, inefficient workflows can make a business extremely sluggish. It can slow the speed at which data is logged, impeding management’s ability to make business decisions in real-time. The burden it places on employees’ time also means that they are able to dedicate less time to innovating, thereby indirectly hampering an organisation’s growth. An ECM solution breaks down these barriers by automating processes, so they can be completed in the fastest possible time, with the lowest possible friction. It can also relieve employees of tedious processes, so that their time and resources can instead be invested into top-line growth activities. The technology available to consumers today is incredible. Now, people can simply ask their devices what the weather will be like tomorrow, or to make an appointment in their calendar for them. Things advance so fast that these sorts of capabilities quickly become par for the course – which can make it particularly frustrating when ancient technology and laborious processes impede employees’ abilities to perform simple operations at work. Employees are also increasingly dissatisfied with workplaces that don’t offer any flexibility. People want to be able to work while they’re travelling, or to have the occasional work-from-home day, or to use their own devices rather than those provided by their employer, and if these needs aren’t being met, employees may start looking to other companies that will provide those benefits. An ECM solution can have a highly positive effect on employee engagement, as it can make certain aspects of their jobs much easier, allowing them to focus on tasks that they find much more rewarding. Having data in a cloud-based system can also free workers from their desks, giving them more mobility so that they can work at optimum times and in optimum environments, thereby increasing their productivity. It is rare that an organisation has its data fully integrated across the entire operation; usually, individual departments have developed separate systems to address their own particular needs, leading to data silos that don’t speak to each other. To further confound the situation, employees often create their own personal silos, keeping data buried in email inboxes, personal folders, or hard drives. Businesses lose out on the valuable insights that can be drawn from aggregated data. An ECM solution solves this by storing data from multiple departments in a centralised location. Metadata can then help to cross-reference information and draw inferences that would otherwise have not been possible. When processes are heavily reliant on paper, the amount of money the business spends on printing can quickly snowball. 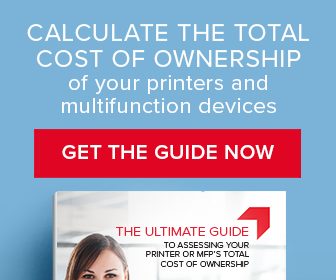 Paper, ink, toner, expensive multifunction devices that need to be replaced regularly – it all adds up. It is also expensive to store that paper, as filing cabinets can take up a significant amount of space. This is also a problem that steadily worsens, as the more files accumulate, the more space is required. By digitising documents and storing it in an ECM solution, businesses can save the heavy costs associated with printing and filing hardcopies, and reclaim the space once dedicated to storage. Files being scanned on unsecured devices that are open to hacking. An ECM solution allows files to be stored securely, and prevents unauthorised tampering of sensitive information by limiting access to those who actually need it. An ECM can even limit the level of access, giving some employees the ability to edit files and others the ability to only view the files. It also ensures better disaster recovery – after all, it’s much easier to retrieve a digital archive than to try to recover paper files lost in a catastrophe such as a fire. Most, if not all, organisations have to comply with strict regulatory requirements, which tend to be updated fairly regularly in order to keep up with recent technological advances and market trends. But when compliance is addressed through clunky workflows, it can be a difficult task for businesses to update their processes in line with changes. One example of a recent significant regulatory change is the European Union’s adoption of the General Data Protection Regulation (GDPR), which has set new, more stringent standards for how companies protect their customers’ data and privacy. The GDPR applies not just to companies within the EU, but also to any companies with a presence in any EU country, as well as those who process personal data of European citizens. All companies must be in compliance by 25 May 2018. With an ECM solution, adjusting to new regulations such as this is a much simpler matter, as workflows can be easily modified in order to comply with proper record-keeping protocol and security measures. Don’t ignore the warning signs and allow legacy systems to drag your business down. An ECM solution could in fact be the key to an agile business, satisfied employees, happy customers, and a healthier bottom line. Want to see how an ECM solution can help your business? Contact us to request a demo today. Or if you're already looking for a solution, make sure you choose the one best suited to your business with our comprehensive ECM Checklist. KYOCERA Document Solutions provides document management solutions with long-life print technology that delivers greater productivity, reliability and uptime.